U bolts are a key part of many different projects, but finding a reliable supplier who can produce the volume you need, on time, within budget and of a consistently high-quality can be a challenge. We can help! 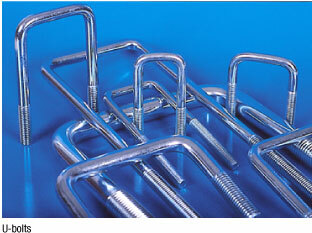 R & R Engineering is a leading provider of custom U bolts. 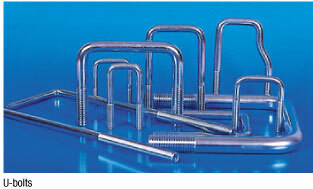 No matter what the job might be, if it requires U bolts, then you can rely on us to provide them for you. One of the major problems for large-scale manufacturers is finding a supplier capiblie of keeping up with your demand. Many U bolt manufactures only have a few planetary machines; we have 80 + which gives us the capacity a large range of sizes and quantities. This not only means that every U bolt we turn out is beautifully finished, it also means we can work quickly, and produce extraordinary volumes of parts each day. Our team collectively has decades of experience in producing U bolts, enabling them to work with you to create exceptional products that give you the performance you need. We can create U Bolts in a wide-range of shapes and sizes, ensuring they are suitable for a variety of different applications. Our quality control systems are as rigorous as we can make them, so our customers end up with components that are consistently excellent. We know the pressures and constraints that affect our customers, and we do everything we can to provide the responsive service they need. We can supply your U bolts in the numbers you need exactly when required. To find out more about us, or to discuss your requirements with us in more detail, call (800) 979-1921.